AMMAN, Jordan (CNS) — Catholic and other faith-based aid groups are urging an end to fighting in Yemen, where three years of war have created a humanitarian crisis, including “the world’s largest food security emergency,” according to the United Nations. Children are bearing the brunt of Yemen’s conflict, the U.N. warned, with 80 percent of them in desperate need of aid and 2 million suffering from acute malnutrition. 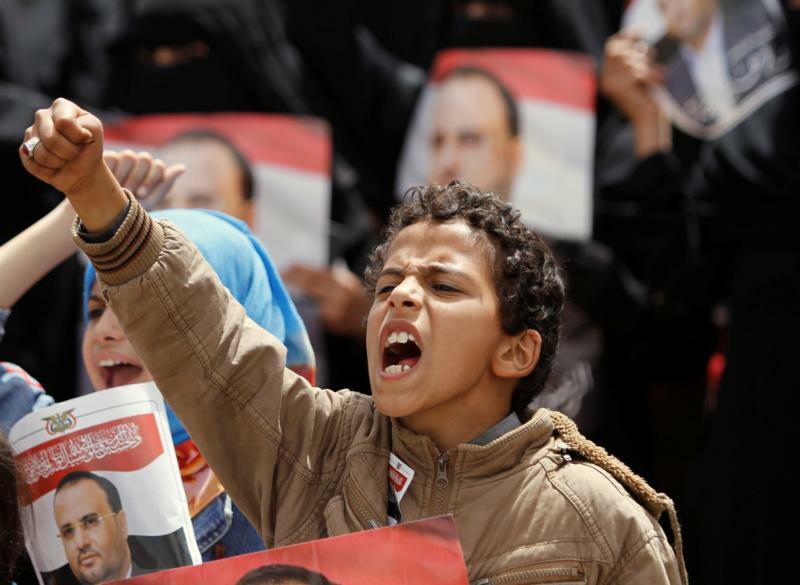 “We were shocked about the numbers coming out of Yemen on famine and starvation, especially of children under the age of 5,” said Giovanna Reda of the British Catholic aid agency CAFOD, a member of the Caritas network. Reda told Catholic News Service that the critical situation prompted her London-based agency to get involved in the impoverished country found at the tip of the Arabian Peninsula. The civil war there — pitting government troops and Houthi rebels, proxies of Saudi Arabia and Iran — is having a decimating impact, she said. More than 5,000 children have been killed or injured — an average of five children every day — since the conflict began in March 2015, reported the U.N. children’s agency, UNICEF. “CAFOD and its partners are running programs tackling nutrition and food security for Yemeni communities and local health care centers dealing with malnutrition cases, reaching some 30,000 people,” Reda explained. “These people are mainly children under 5 as well as pregnant and breastfeeding mothers. This food assistance is helping families most affected by malnutrition, whether it be severe, acute, or moderate acute. From a health point of view, the situation is dangerous,” Reda said of one part of a larger crisis. A cholera outbreak affected 1 million Yemenis some months ago, while diphtheria has emerged recently. Aid officials estimate that about 80 percent of Yemen’s 22 million people are in urgent need of humanitarian assistance such as food, water, shelter, sanitation and medical care. The country’s infrastructure has been destroyed and its health services crippled, largely due to bombing. A partial blockade of badly needed medical and other supplies has also been in place. The Saudi-led coalition insists it never deliberately targets civilians, but human rights groups have accused it of bombing markets, schools, hospitals and residential areas. The U.N. reported that more than 5,970 civilians have been killed and 9,490 injured so far, with no end in sight to the conflict. Even before the outbreak of war, Yemen faced tremendous challenges from widespread poverty, food insecurity and a lack of health services. Reda explained that CAFOD, which is also a member of the Disaster Emergency Committee, a network of 13 British-based agencies, works with partners in Yemen, mainly in the south of the country. However, the nongovernmental agency it cooperates with cannot be named due to security concerns. Islamic State militants abducted Indian Salesian Father Tom Uzhunnalil March 4, 2016, from a home for the aged and disabled run by the Missionaries of Charity in the southern city of Aden and held him for 18 months until his release. Four Missionaries of Charity and 12 others were murdered in the attack. Islamic State and al-Qaida are active in parts of Yemen, also hindering humanitarian access to various areas, Reda added. He told CNS that the agency based in Amman, Jordan, also took medical supplies into the country, including oral rehydration, for Yemen’s Ministry of Public Health to fight the cholera outbreak. Assisting Yemen for the past 20 years, World Relief Germany has worked with local partners to provide clean drinking water to internally displaced people and door-to-door hygiene training, best to tackle cholera. Water, sanitation, hygiene and education, especially for children with disabilities, are key aid. He personally set up a food basket providing several months of staple goods to help those in very vulnerable situations.